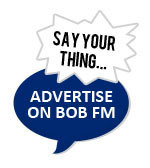 Police raise concerns over 'aggressive' and 'intimidating' begging in South Hatfield - BOB fm Home Counties - Music and news for Herts, Beds, Bucks, and beyond. Police in South Hatfield are urging people approached by "aggressive" and "intimidating" beggars to report it right away. There have been a number of complaints from businesses in the Hilltop shops area in High View. The Safer Neighbourhood team says giving these people money will not necessarily help them, as it's often the case that they have complex issues and addictions. Herts Police say they always work with other organisations to support vulnerable people and those in genuine need of help. 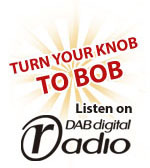 PC Jessica Gibbs, from the Welwyn Hatfield Safer Neighbourhood Team, told BOB fm: "We're aware that some people are begging in an aggressive manner, and this can be distressing and intimidating. If this happens to you please report it to us as soon as possible so that we can take the appropriate action. "We always work with our partners to support vulnerable people and those in genuine need of help to turn their lives around. "Police have the power to issue Criminal Protection Notices and Criminal Behaviour Orders, which are designed to stop this illegal behaviour and direct the person concerned towards help from organisations that can provide support and expert advice. If these notices and orders are not adhered to, further action can then be taken - including the individual being arrested". PC Gibbs continued: "It's understandable that you may want to help those you see begging, however it is often the case that these individuals have complex issues and addictions. Giving them money will not necessarily help them to overcome these problems. We would advise those who would like to help the homeless to donate to recognised charities instead as they will be able to offer structured and long-term help and support."